Start off your visit on the 19th (Fri): look for all kinds of wild species at Gorge Wildlife Park, then see the interesting displays at National Motor Museum, then contemplate the long history of Carrick Hill, and finally appreciate the extensive heritage of North Terrace. Get ready for a full day of sightseeing on the next day: kick back and relax at Glenelg Beach and then kick back and relax at Aldinga Beach. To find photos, ratings, reviews, and other tourist information, refer to the Adelaide journey planning app . Use the Route module to find travel options from your starting location to Adelaide. In April, daily temperatures in Adelaide can reach 26°C, while at night they dip to 14°C. Finish your sightseeing early on the 20th (Sat) to allow enough time to travel to Mount Gambier. Kick off your visit on the 21st (Sun): appreciate the views at The Valley Lake, walk around Tantanoola Caves Conservation Park, and then explore the striking landscape at Umpherston Sinkhole. For maps, where to stay, reviews, and more tourist information, you can read our Mount Gambier journey website . Traveling by flight from Adelaide to Mount Gambier takes 3 hours. Alternatively, you can drive; or take a bus. Plan for a bit cooler temperatures traveling from Adelaide in April, with highs in Mount Gambier at 22°C and lows at 10°C. Finish up your sightseeing early on the 21st (Sun) so you can go by car to Ballarat. 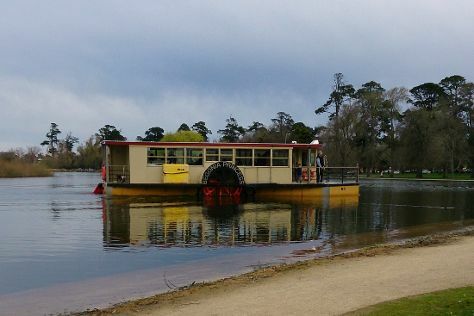 Start off your visit on the 22nd (Mon): explore the activities along Lake Wendouree, take in the spiritual surroundings of St Patrick's Cathedral, then identify plant and animal life at Ballarat Wildlife Park, and finally admire the natural beauty at Ballarat Botanical Gardens. Get ready for a full day of sightseeing on the 23rd (Tue): view the masterpieces at Art Gallery of Ballarat, contemplate the long history of Sovereign Hill, and then see the interesting displays at Ballarat Municipal Observatory and Museum. To see ratings, photos, traveler tips, and tourist information, refer to the Ballarat route planner . You can drive from Mount Gambier to Ballarat in 4 hours. Alternatively, you can do a combination of flight and shuttle; or take a bus. In April, daytime highs in Ballarat are 24°C, while nighttime lows are 11°C. Wrap up your sightseeing on the 23rd (Tue) early enough to take a train to Melbourne. 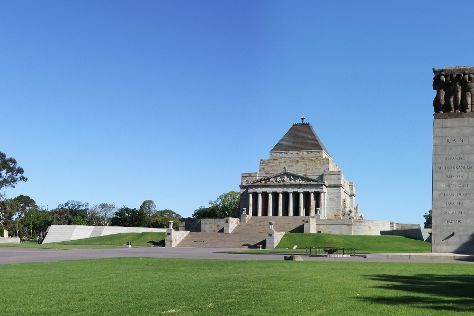 Start off your visit on the 24th (Wed): take in the architecture and atmosphere at St Paul's Cathedral, then admire the landmark architecture of Shrine of Remembrance, then admire the natural beauty at Royal Botanic Gardens, and finally admire the masterpieces at ArtVo. 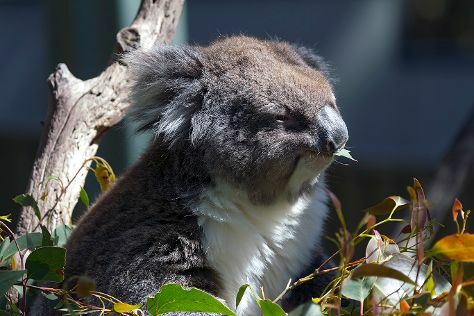 Get ready for a full day of sightseeing on the 25th (Thu): see the interesting displays at Melbourne Museum, then learn about wildlife with up-close encounters at Melbourne Zoo, and then take in panoramic vistas at Eureka Skydeck 88. To find ratings, traveler tips, other places to visit, and other tourist information, read Melbourne road trip website . Getting from Ballarat to Melbourne by train takes about 1.5 hours. Other options: drive; or take a bus. In April, daytime highs in Melbourne are 23°C, while nighttime lows are 11°C. Cap off your sightseeing on the 25th (Thu) early enough to travel back home.